Palestinian prime minister Rami Hamdallah offered to resign on Monday, as president Mahmud Abbas seeks to form a new government. The moves by Abbas are seen as part of attempts to further isolate his political rivals Hamas as a decade-long split in Palestinian politics deepens. 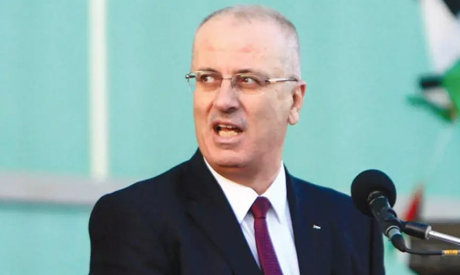 Hamdallah has "put his government at the disposal of President Mahmud Abbas", the prime minister's spokesman Yussef al-Mahmud said in a statement. The premier later confirmed the offer during a visit to the southern West Bank city of Hebron, but denied a new government was an attempt to squeeze Hamas. "We hope that all Palestinian factions will participate in this (new) government and I appeal to the Hamas movement to participate," he said. It came after the central committee of Abbas's Fatah movement recommended late Sunday the formation of a new government that would comprise members of the Palestine Liberation Organisation (PLO). Palestinian politics has essentially been paralysed since 2007, when Hamas seized control of Gaza from Abbas's forces in a near civil war, a year after winning parliamentary elections. Since then Abbas's governments have maintained limited self-rule in the occupied West Bank, while Hamas has led a rival government in Gaza. The division between the Palestinian parties is seen as a key issue preventing progress in solving the Israeli-Palestinian conflict and improving the situation in the impoverished Gaza Strip. The deal has since broken down and his government has no control in Hamas-controlled Gaza. Abbas has also pledged to hold new parliamentary elections in the coming six months, but how that would be possible in Gaza is unclear. Hamas won the last parliamentary polls, in 2006, against expectations. Israel, the United States and other Western powers, which all consider Hamas a terrorist organisation, rejected the result. Israel launched three military offensives against Gaza since then. Rumours of a new government have been swirling in recent weeks, and Hamas spokesman Sami Abu Zuhri attacked such a plan. "The formation of any government apart from a national consensus one is a continuation of the unilateral actions taken by Fatah," he tweeted Sunday. "Such a government will enjoy no legitimacy." It remains unclear what form any future government could take, but analysts warned that keeping Hamas out of it would deepen political divisions. "The move has been described as furthering national unity but if anything such a move -- if Hamas is excluded -- may achieve the opposite, compounding current internal divisions, and pushing Gaza further away," said Hugh Lovatt, Israel-Palestine analyst at the European Council of Foreign Relations. Jihad Harb, a West Bank-based political analyst, said if a government were formed from only the PLO it would indicate an end to already stalled attempts at reconciliation. "The formation of this political government means the end of the (2014) agreement (between Hamas and Fatah)," he said.